A typically good looking EELL . Comes with the Beretta motor case & 5 chokes. Please see our website for finance options. Lee Enfield 303 rifle. Stamped “No 4”. 1943. This has been legally modified to a 410 gauge shotgun. Bolt action and as per legal requirements, magazine loader has been welded into frame to allow for single shot usage. Clean, well looked after gun. Bought new in August 2015. Includes ABS makers case and accessories. Sidelock pair single trigger ejector one sleeved with makers case. please phone for more information. A brand new model from ATA, featuring a beautiful scroll engraving and upgraded woodwork. Available on 0% finance over 12 months. A 1972 gun, In excellent condition for the year. Both barrels are short Teague choked. A really nice Adjustable comb Sporter. Comes with 5 chokes & key. For finance options please visit our website. 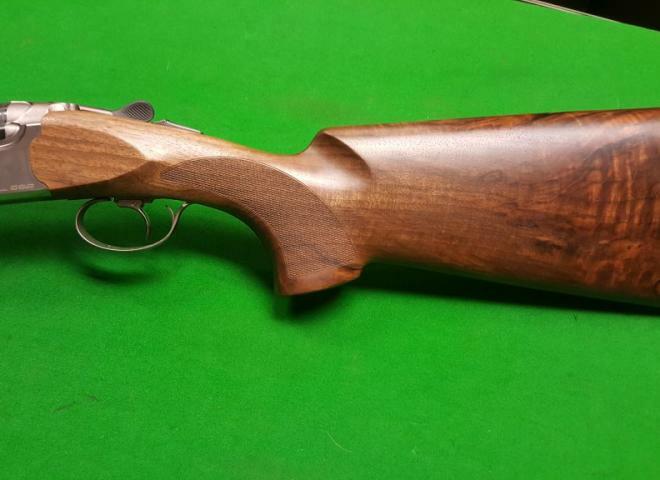 Superb condition model 90 sporter. Action still tight. Just been serviced. Adjustable trigger. Multichoke 1/4 & 1/2 chokes fitted. No spare chokes. Finally in stock now. 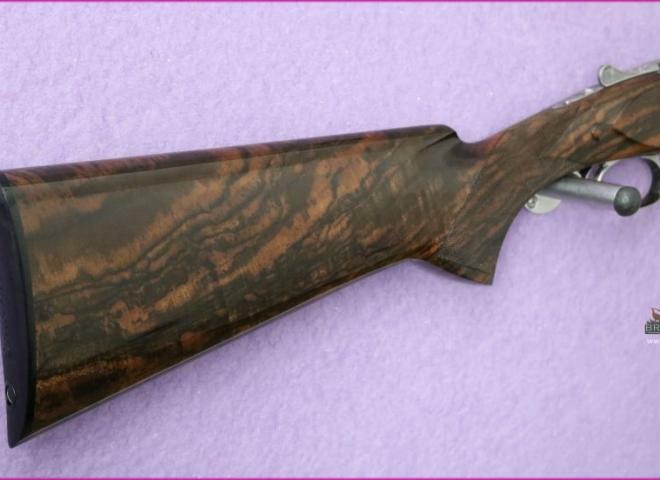 Browning 20g D5G 30" Stunning Custom Browning B25. If you ordered this gun new today it wouldnt arrive until 2022/23 and would cost roughly 8 percent more. 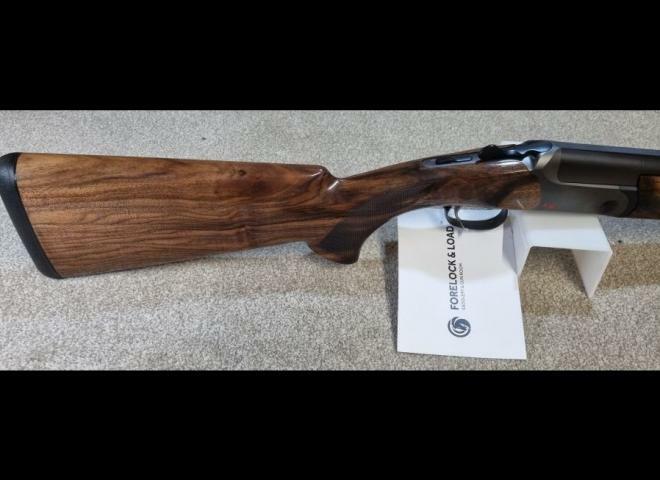 3 year old shotgun, complete with ABS case, set of browning chokes, plus 2 x brand new teauge chokes LM/LM. Browning slip included. very well looked after. no marks on steel & wood. gun was new 3.6.2016. grade 1 but the wood is really nice.